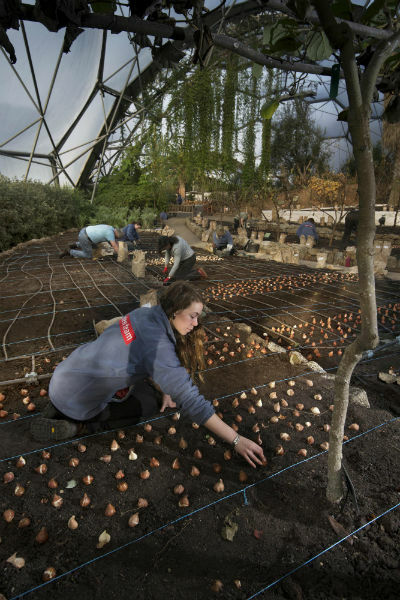 It may only just be Christmas but Cornwall is already preparing for Spring as the Eden Project has ensured a mass planting of tulip bulbs set to bloom next March. 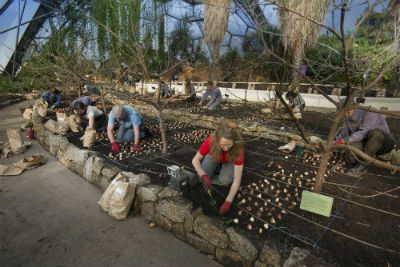 25,000 bulbs have been hand-planted in raised beds in the Mediterranean Biome by a team of 20 gardeners, planting twice as many bulbs as last year. This beautiful explosion of colour will include around 100 varieties of tulip including the world’s first blue-fringed variety, Blue Heron, as well as Queen of Night, a classic black tulip, and the scarlet variety Red Georgette. Tulips won’t be the only flower gracing Eden throughout the season as the they will add to a display of around a million bulbs including daffodils and crocuses. 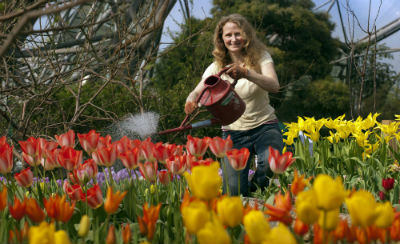 Eden’s Mediterranean Biome Supervisor, Catherine Cutler, is thrilled with the project: ‘It was a fantastic effort by the team to plant so many bulbs in a day and the Mediterranean Biome tulip display is set to be the jewel in the crown of Eden’s spectacular site-wide show of bulbs next spring. ‘We’ve planted our bulbs quite late but they will be protected by the Mediterranean Biome.